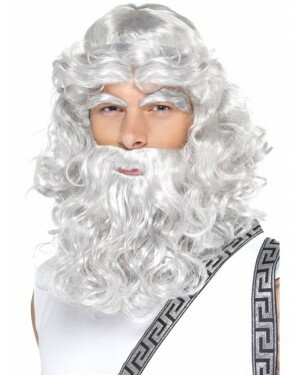 Elegance and quality are two words to describe the great theme of Greek Fancy Dress Costumes. Despite most of the costumes being traditionally Toga-inspired; the variations on each costume are what make each and every costume unique in its own right. Relive the classic time period with one of our stunning costumes, Greek Costume options for both Men and Women! 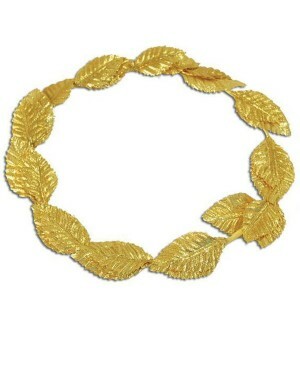 Accessories such as a Gold Leaf Laurel, Zeus Wig and Helen of Troy Wig are also available to add detail! Greek Fancy Dress Costumes are spectacular in their own right. 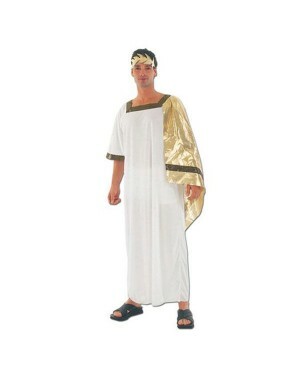 Ideal for any Roman and Greek inspired fancy dress occasion; you can dress to suit any specific rank. In amongst these brilliant costumes are Greek Costumes for Men, such as this Roman Senator Costume - a great couple’s option, also, as there is a matching Blue Toga Costume for Women. 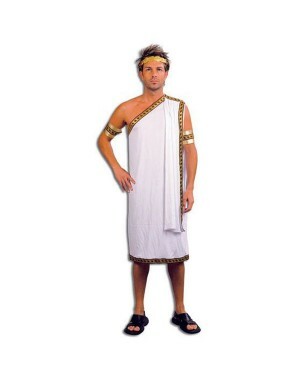 Additionally if you want the classic Grecian look, you can opt for a detailed Roman Toga. For the Ladies, the glamour comes in its purest form. Grecian Fancy Dress Costumes always go that little bit extra with detailing with this Helen of Troy Costume being a fine example, included are a golden tiara and shawl to boast elegance and wealth! Check out all of our Roman and Greek range! 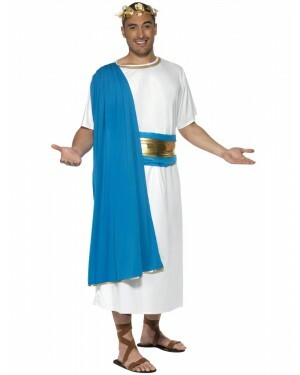 Roman Toga costume with headpiece and cuffs.